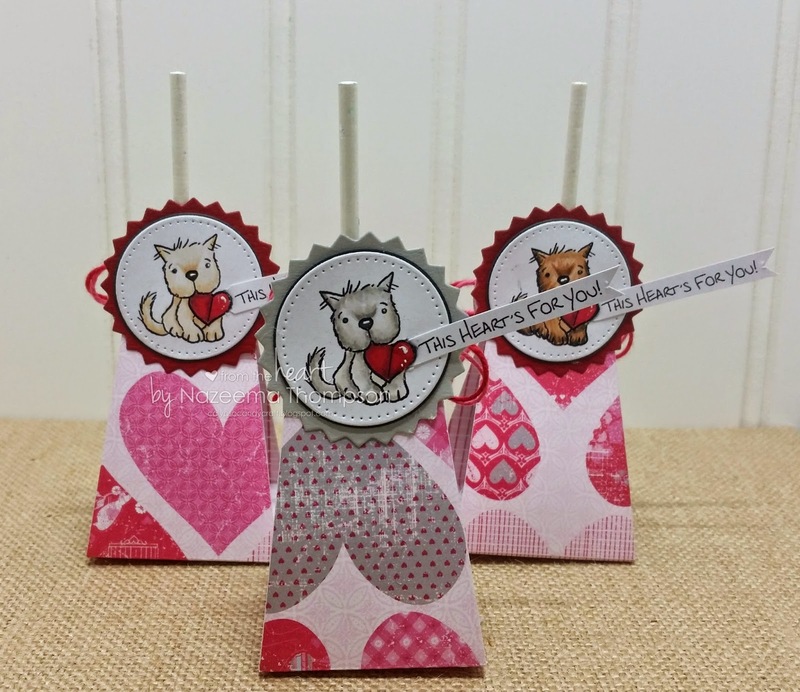 I'm back to share what was suppose to be my project for last weeks From the Heart Stamps, February Blog Hop. I am super excited about these lollipop treats!! I've always wanted to make them, now that I have...I'm just disappointed I waited to long!! 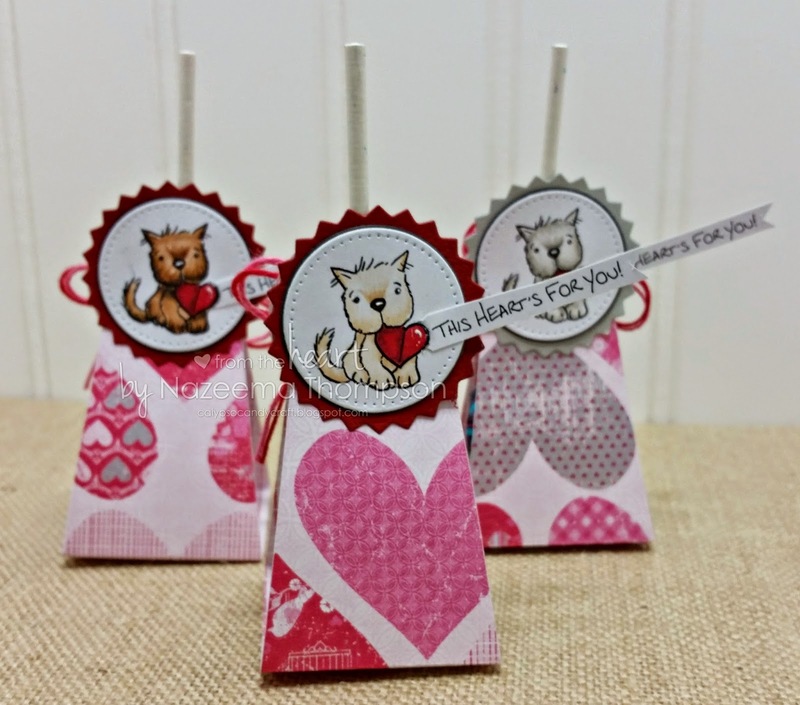 I am using the little pup and sentiment from the Ali with Paper Heart Stamp set. The first pup, I colored to resemble a blonde pup. Love the color. The second doggie image, I colored in greyish tan. And the last doggie in brown!! Sorry I missed out on the hop, the rest of the DT members did an outstanding as well. 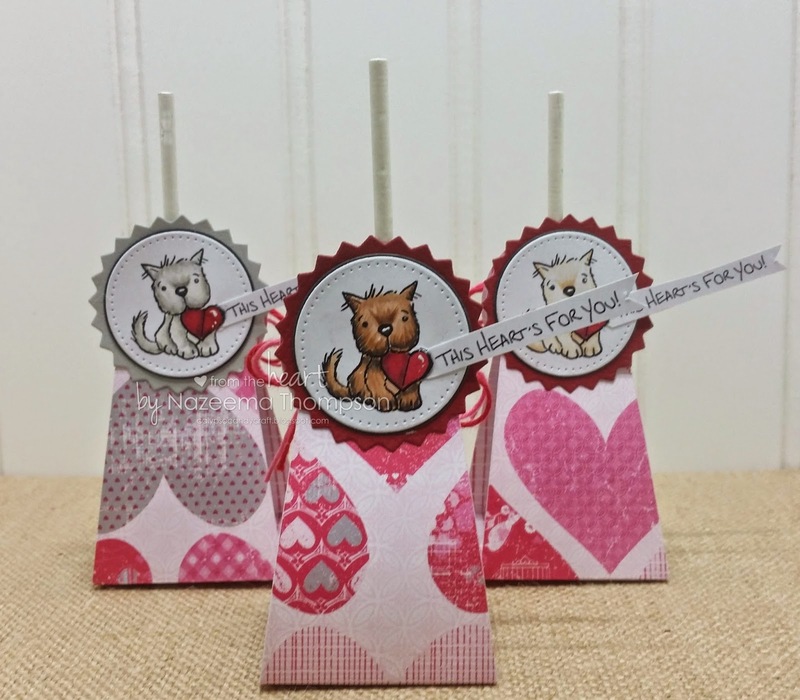 Make sure to stop by FTH, to check out the winners form the blog hop too!! Those are super cute! Great job with your coloring. Thanks for joining us at Die Cuttin' Divas this week. These are super adorable!!! Love the pretty paper and that cute little dog image you used!! Thanks for joining us at DCD this week! These are super cute, Calypso !! Amazing Job !! Oh my gosh! I LOVE these doggies and the different ways you colored them. I've never heard of Ali paper heart stamp set. Is it a digi stamp or a hand held stamp? Thank you for Linking Up at PDE Linky Party. How adorable! Those puppies are way too cute! Thanks for joining us at Party Time Tuesdays! Thanks for joining us over at Just Inspirational Challenges. Your lollipop treats are adorable. You did a great job individualizing each little doggie. Thanks for sharing your project with us at Die Cuttin' Divas this week! Very, very sweet and gorgeous. Thanks for joining us at Card Mania Challenges. Good luck and hope you'll join us again. Lovely creation!Thanks for playing at Card Mania Challenge. Forgot the link to challenge. Fabulous lollipop holders. Thank you for joining our “Valentine Photo” Challenge this week at Die Cuttin’ Divas.